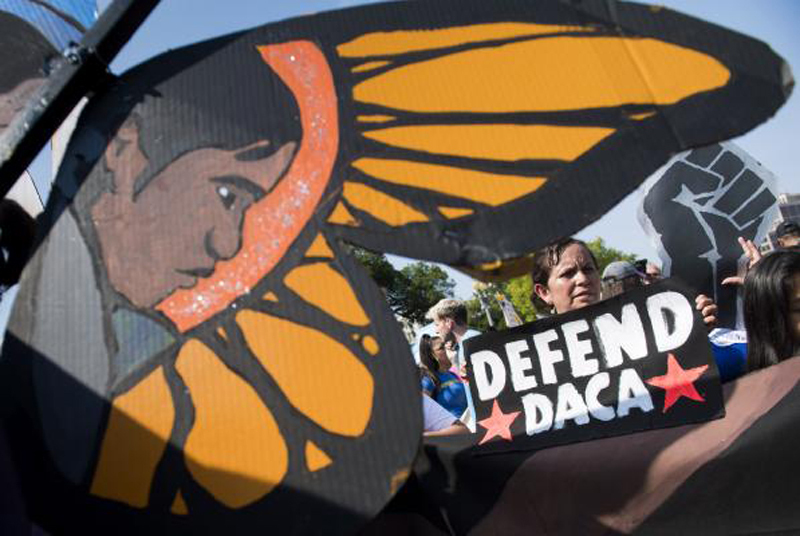 A federal judge Tuesday ruled the government must resume accepting applications to the Deferred Action for Childhood Arrivals program. Judge John D. Bates of the Federal District Court for the District of Columbia issued the decision giving the Department of Homeland Security 90 days to provide a legal reason for the Obama-era program, which protects hundreds of thousands of children of undocumented immigrants from deportation, to be rescinded. If the department is unable to provide a valid reason to rescind the DACA program it will be reinstated in full and the agency will be required to begin accepting applications. He ruled the department's decision to end the program on the premise it was unlawful was "virtually unexplained." "Neither the meager legal reasoning nor the assessment of litigation risk provided by DHS to support its rescission decision is sufficient to sustain termination of the DACA program," Bates wrote. Spokesman Devin O'Malley said the U.S. Department of Justice is reviewing the judge's decision. "Today's order doesn't change the Department of Justice's position on the facts: DACA was implemented unilaterally after Congress declined to extend benefits to this same group of illegal aliens," O'Malley said. "The Justice Department will continue to vigorously defend this position." Two other federal judges in New York and California previously blocked President Donald Trump's efforts to end DACA on the principle his administration hadn't offered legally adequate reasons to rescind the program. Executive director of the Washington D.C.-based advocacy organization National Immigration Forum Ali Noorani praised Tuesday's decision. "This decision verifies the Trump administration failed to prove the DACA program is illegal," Noorani said. "Either President Trump finds another way to end the program, tossing hundreds of thousands of young people into deportation proceedings, or he works with Republicans and Democrats to find a legislative solution that secures our border and ensures Dreamers continue contributing to our economy."